The New Lumphanan Church. 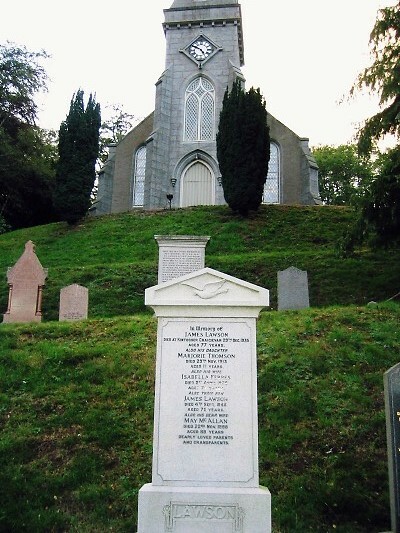 In the foreground is the grave of one of Bill's relations, James Lawson. James was the brother of "Postie" Lawson. Photograph taken in 2004 by Roger Lawson. See also image 994.